victories in the 500 mile classic." I would like to thank Andy Heywood, Christian and Mark Versteeg and Dr. George Lipperts for their invaluable assistance. 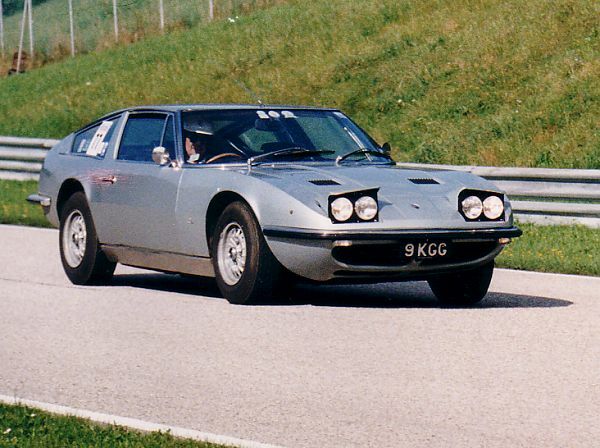 In 1968, at the Salone dell'Automobile di Torino, there appeared on the Carrozzeria Vignale stand the prototype of a sleek new four-seater coupé, based on Maserati's now established V8 front-engined rear wheel drive format. 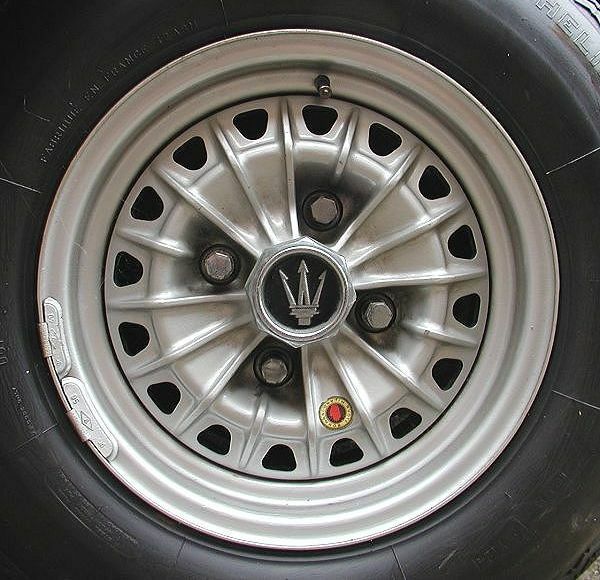 Alfredo Vignale had already designed the fabulous 3500GT Spyder, and the Sebring and the Mexico for Maserati as the successors to the 3500GT by Touring, whose commercial success had rescued Maserati from their period of administration. 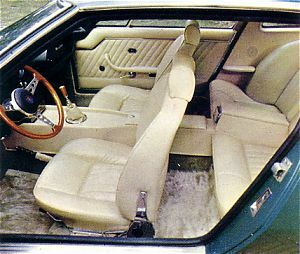 By the end of 1968 Maserati listed five models in their range: the Sebring (by Vignale) and the Mistral (by Frua) had 3.5, 3.7 and 4-litre 6-cylinder injection engines, along with the Quattroporte (designed by Frua but made by Vignale), the Mexico (by Vignale) and the Ghibli (by Ghia), with 4.2 and 4.7-litre V8 carburettored engines. It is with this background that this four-seater coupé, thought to be the likely heir to the now ageing Mexico and Quattroporte, appeared in Turin. 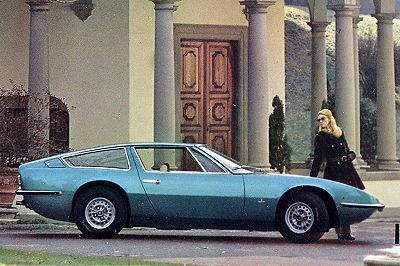 In March 1969, at the Salone d'Automobile de Genève, Maserati launched the Maserati Indy, named to commemorate Maserati's great victories in the 500 mile race at Indianapolis in 1939 and 1940. 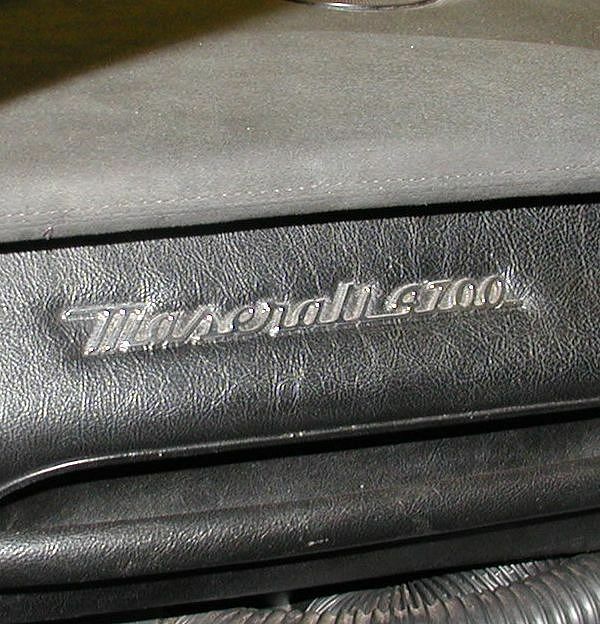 Maserati are still the only Italian Marque, along with Dallara, to have won this famous race! 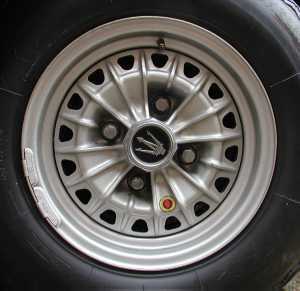 The Indy was favourably received by both the press, public and fans of Maserati's fabulous GTs. 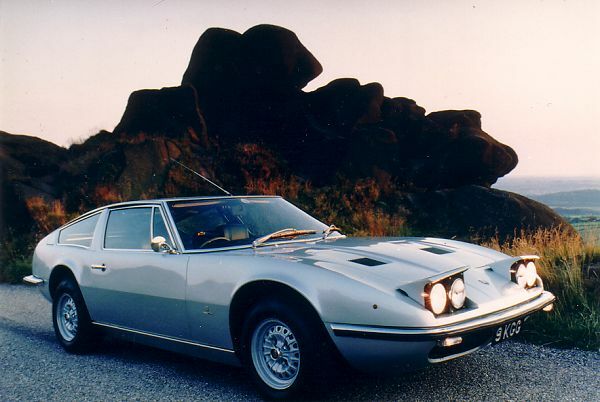 From a stylistic point of view it did not possess the beauty of the Ghibli, but for a car that accomodated four adult passengers, rather than the traditional two plus two formation of the majority of GTs of that period, it was a strikingly good-looker. Without a doubt it was the side profile of the Indy that best demonstrated Vignale's clever design. 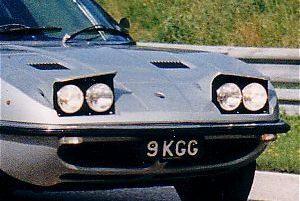 The front elevation with its full width slim wrap around front rubber-insert bumper and the use of retractable headlights, although attractive, lacked the long low line of the Ghibli, largely due to the Indy's wet sump engine. 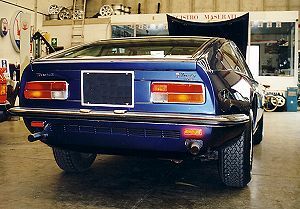 A full width windowed hatch flowed down to a cut-off tail incorporating the now standard horizontal rear light clusters above a full width rear bumper. Under the bumper was a panel with a central grille and openings either side from which exited the exhaust pipes. The Indy is probably the most underrated Maserati! The Indy: a four-seater with two-seater looks! Externally, the production car differed little from the prototype first seen at Turin in 1968, save for a few minor detail changes. 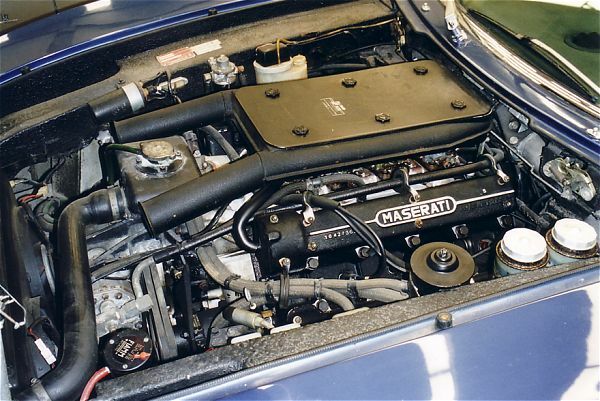 Mechanically there were no changes from the other Maserati V8 engined cars. 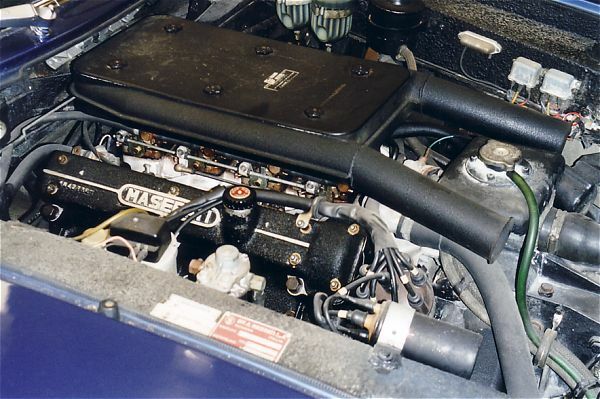 The engine was the now standard Maserati V8, with a cubic capacity of 4136 cc, fed by four twin-choke down-draught 42 DCNF Weber carburettors, yeilding 260 bhp at 5500 rpm giving the Indy a maximum speed of 155 mph (250 kph). 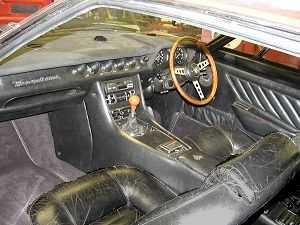 Transmission was by way of a ZF 5-speed gearbox (a 3-speed Borg-Warner automatic gearbox was available as an option). 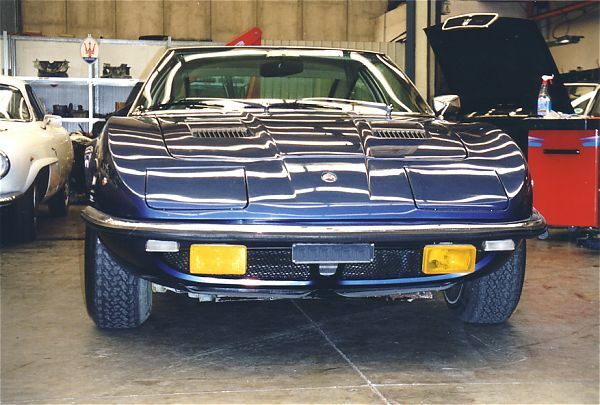 Front suspension was independent with double wishbones, coil springs and an anti-roll bar while at the rear there was a live axle on leaf springs located by a single torque reaction arm restrained by another anti-roll bar. The dual circuit braking system, with four ventilated disc brakes, was servo assisted. Power assisted steering and a limited-slip differential were also available on request. 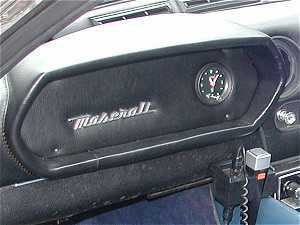 The dashboard was true Gran Tourismo: a three-spoked adjustable (up and down) Nardi steering wheel, behind which was a compact binnacle housing a large speedometer and rev counter. Situated in between these were an oil pressure guage, an oil temperature guage, a water temperature guage, a fuel guage, an analogue clock and an amp meter. On the passenger side was a similar binnacle housing an analogue clock under which was an ample glove box. The view that most motorists didn't see for long! Vingale's design concealed an ample interior where even the rear passengers were afforded plenty of room. The luggage area, accessed via the almost horizontal hatch, was excellent with around 18 cubic feet of space. 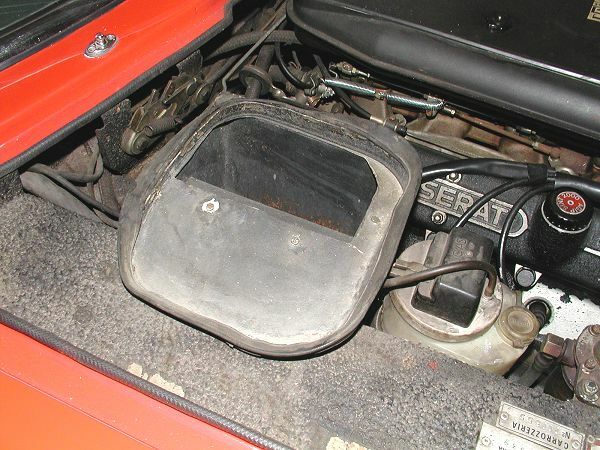 This area was flanked by two 50 litre petrol tanks, the battery, spare wheel, car jack and an adequate tool kit being housed under the boot floor. The cut-off tail of the Indy. At the 1970 Turin Motor Show there appeared an upgraded model alongside the existing 4.2-litre car. This new version was powered by a 4.7-litre V8, with Bosch electronic ignition, now developing 290 bhp with a top speed of 165 mph (265 kph). Externally the new version could be distinguished by its deeper full length chrome door sill and re-positioned front indicators. 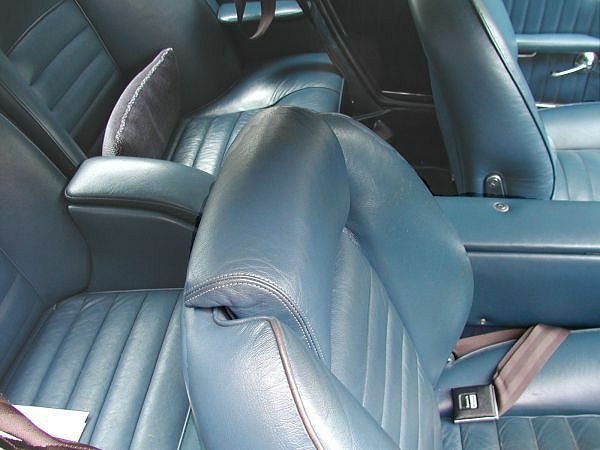 Internally the re-designed front seats now had retractable headrests. 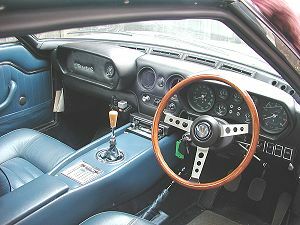 The re-designed dashboard now had a three-spoked adjustable (up and down) Nardi steering wheel, behind which was a compact binnacle housing a speedometer, rev counter and oil pressure guage. Situated in the centre of the dash was a line of five guages angled towards the driver; an oil temperature guage, a water temperature guage, a fuel guage, an analogue clock and an amp meter. On the passenger side in place of the glove box was a full-width grab handle. 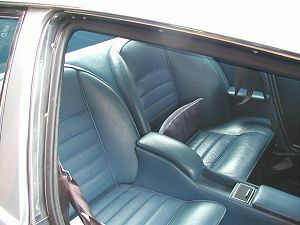 The centre console accomodated the radio, heater cotrols and a row of rocker switches that included those for the electric windows. Further down the console was the customary ashtray and a lockable glove box. 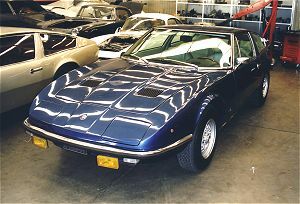 From 1971 the two new versions, destined for the North American market were renamed the Indy America. It was during this year that a 4.9-litre engine was added to the range, this Indy now boasted the same power unit as the Ghibli SS but with a slightly lower power output of 320 bhp (against the Ghibli's 335 bhp) giving the Indy a top speed of 170 mph (280 kph). 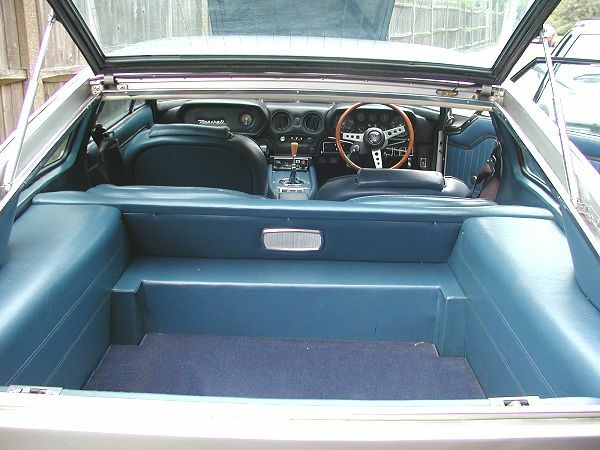 In 1973 the Indy America 4.2 and 4.7 powered cars were replaced the model with the 4.9-litre engine. As well as the obvious difference in performance this version was fitted with a new gearbox, new 15 inch wheels replaced the earlier 14 inch, a new air conditioning system and from 1973, the traditional Maserati servo-assisted braking system was replaced by Citroën's high pressure pump system. 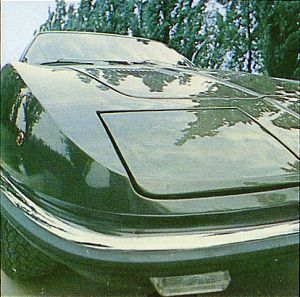 Externally the later 4.9-litre version was distinguishable from the earlier 4.2 and 4.7-litre versions by an extra bonnet grille situated on the right-hand side just ahead of the windshield wipers. 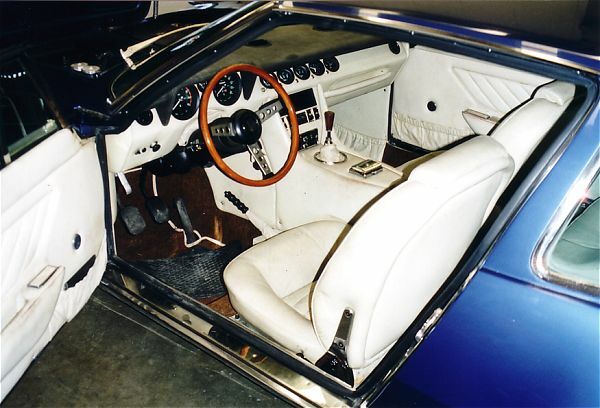 Internally the arrangement of the instruments in the dashboard was slightly modified. The early interior with the fixed headrests. 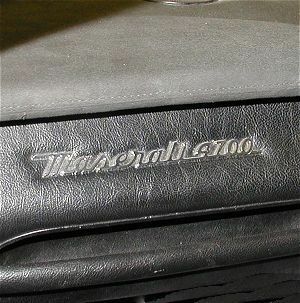 The extra grille in the bonnet of the Indy America. 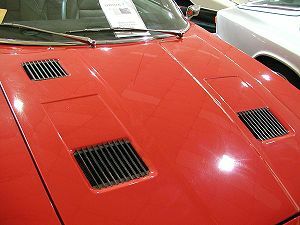 Extra grille for fresh air ventilation to interior. Total production of the Indy between 1969 and 1975 consisted of 1,104 cars (440 4.2-litre cars, 364 4.7-litre cars and 300 4.9-litre cars). 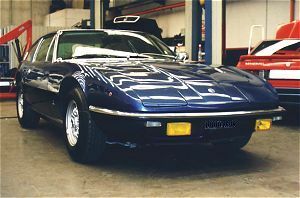 The Maserati Indy was one of the last in a long line of traditional front-engined rear wheel drive Maseratis powered by a classic, normally aspirated, four overhead camshaft, V8 engine, the last being the Khamsin. That is, until now! 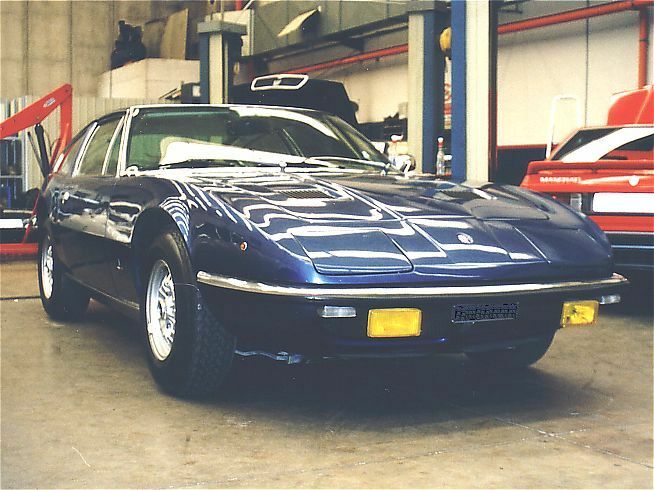 "Your comment that the Khamsin was the last conventional V8 delivered is incorrect. 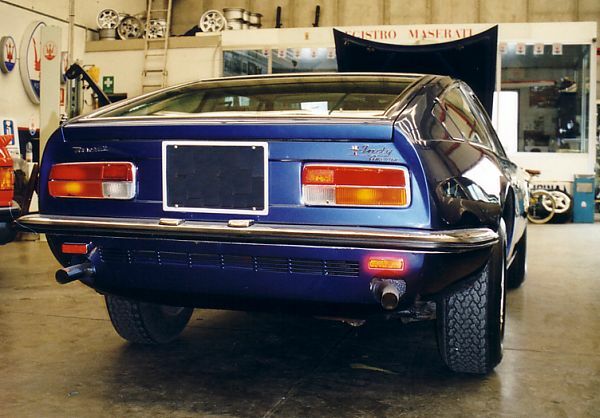 The Khamsin was produced up until 1982, the Kyalami until 1983 and the Quattroporte III until 1986. Sorry for my comment, but the Quattroporte III still had the slivering, gurgling 4.9 V8 beast of an engine in it (BBC comment from Bora documentary). Yes the ouput was less (280 bhp) but enough to move 1.9 tons off the mark quite smartly!" Thank you Christian. It's always nice to receive feedback. The identification plate of the Indy - AM 116. The classic 4OHC V8 power unit that powered the Indy. 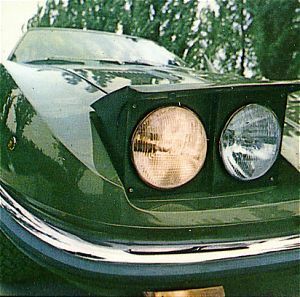 The power operated pop-up headlamps had a mechanical manual back-up system. The 4.9-litre engine of the Indy America. The early 4.2 double-binnacle dashboard. The later 4.9 dashboard with grab handle. 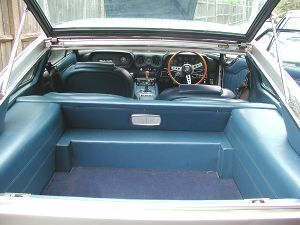 The interior of a late Indy America. 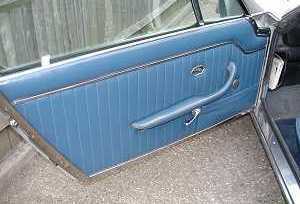 The door trim of an early 4.2-litre Indy. The contoured rear seats of the Indy. The front seat retractable head rest. 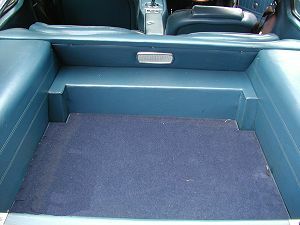 The ample boot space of the Indy. Somewhat restricted by the side fuel tanks. 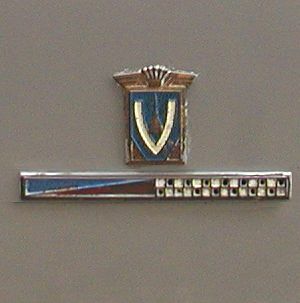 The Vignale badge on each front wing. 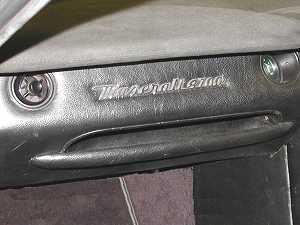 The passenger grab handle on a 4.7-litre Indy. 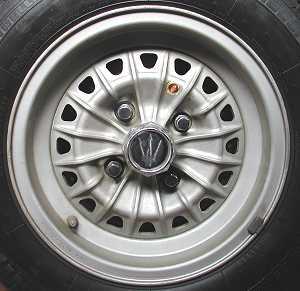 The early 14-inch Borrani wheels. 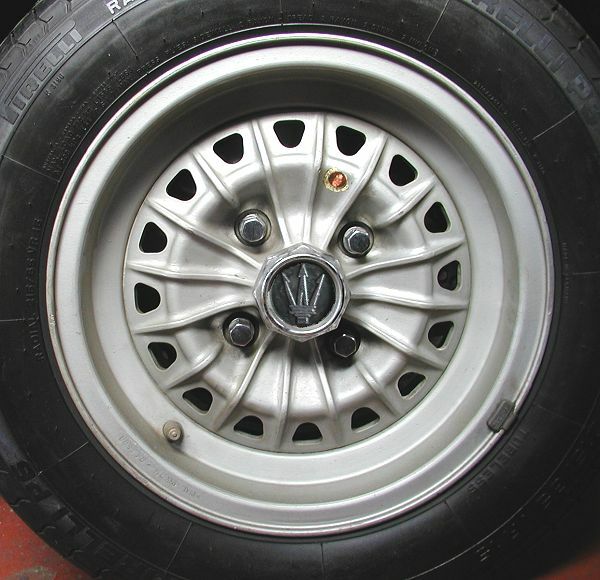 The later 15-inch Borrani wheels. The early 4.2-litre Indy manual gear shift pattern. The later 4.9-litre Indy manual gear shift pattern. As an Indy owner I was most impressed with the layout, text and pictures on your Indy page, the best yet! 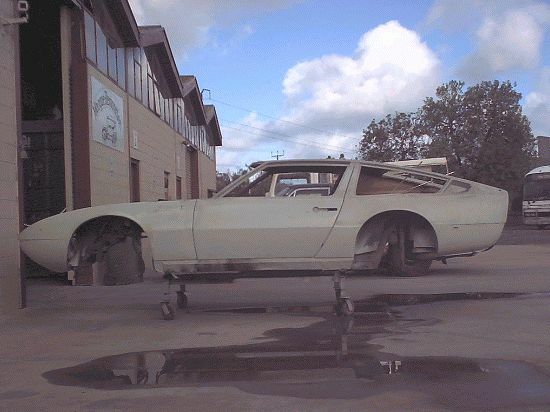 I have attached a photo of my Indy undergoing restoration in Australia. This particular car is a 4.2 litre V8 with manual gearbox and an early model as defined by the "designer" hinges on the rear tailgate and small Alfa Giulia tail lights among the small differences compared to later cars. Unusually this car is fitted with a Ghibli dash instead of the usual twin "pod" design or later dash and was probably the result of the conversion to right-hand drive before shipment to Australia in the early 70's (originally Italian delivered to a Rome based Doctor who emigrated to Australia). Any way I don't want to ramble on and I thought you might like the photo and feedback... well done. Tim Wren's photo of Henny's Indy. ... and finally I dug out a print of the Indy with the lamps up. This was taken by Tim Wren, a rather good freelance photographer, who did the photoshoot in 1988 for Supercar Classics. The magazine folded in 1991. I also have a shot of the car taken by Pam (my wife) at the Salzburgring at the 1995 International. The lamps were only bup to say Hello to her as I passed and not to clear the inferior six cylinder rubbish out of my path!